Mr. Jerome A. “Rocky” Majchrzak, of Bay City, passed away Thursday morning, March 24, 2016 at the Cartwright Hospice Residence in Saginaw, age 69. He was born to Albin and Angeline (Smarszcz) Majchrzak on December 13, 1946 in Bay City and has resided there all his life. Rocky was a member of Our Lady of Czestochowa Parish – St. Stanislaus Church, where he also attended grade school and high school. 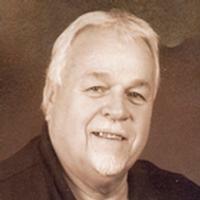 He was an associated member of UAW Local 362, having retired from Bay City Powertrain. While hunting with his boys was his number 1 enjoyment, Rocky was also involved in Little League of 13 years and played fast pitch softball for 23 years. He served with the U.S. Army in Vietnam from 1967 to 1968. Rocky was assigned to the 147th Assault Helicopter Co. as a crew chief door gunner on the CH-47 Chinook Helicopter. He was a member of the 147th Hillclimbers Veterans Association. On June 22, 1968 Rocky married his high school sweetheart, Judy K. Klass and she survives his passing along with their children, Jamison, Jonathan and Jessica; his grandchildren, Ariel, Anevay, Abigael, Brady, Sophia and Charlie; his three sisters, Judy, Dorothy and Barbara; his brother, Paul; a sister-in-law, Joyce; and a brother-in-law, Jack.